One of the many concerns I had when we were still on the fence about homeschooling was how much it would cost. When I was in public school as a child I remembered there were field trips to plays, expensive science lab equipment, and of course using math manipulatives to learn basic addition and base ten concepts. It was a relief to find out that many people homeschool for a mere few hundred a year, and I’ve even read articles by women who have homeschooled on a zero-dollar budget. Kindergarten math is one of the easiest subjects to teach with very little monetary investment. In fact I’d venture to bet that I could have taught the entire year using less than $5 worth of tools, though I do admit that I splurge from time to time on seasonal things to make it more fun. 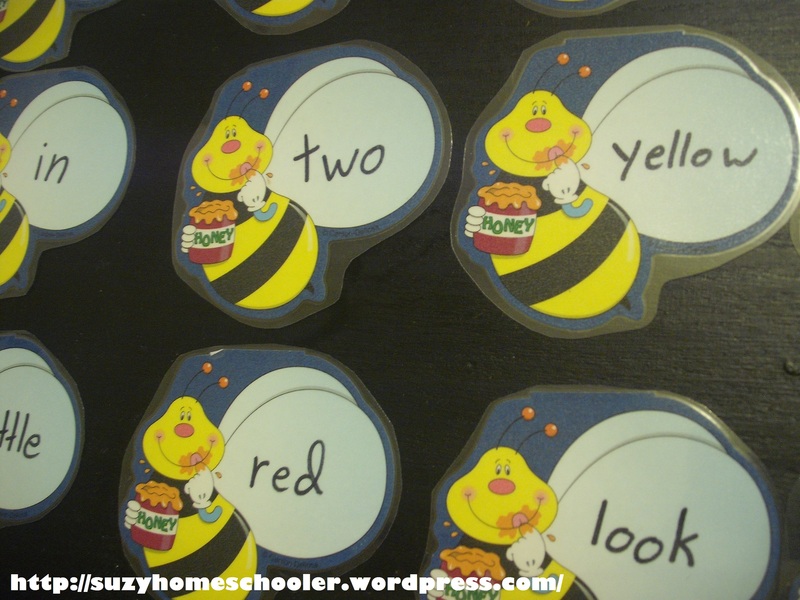 Last week I picked up these cute little paper bees from Mardel and used them to recreate a game I’ve seen all over the web: sight word smack. 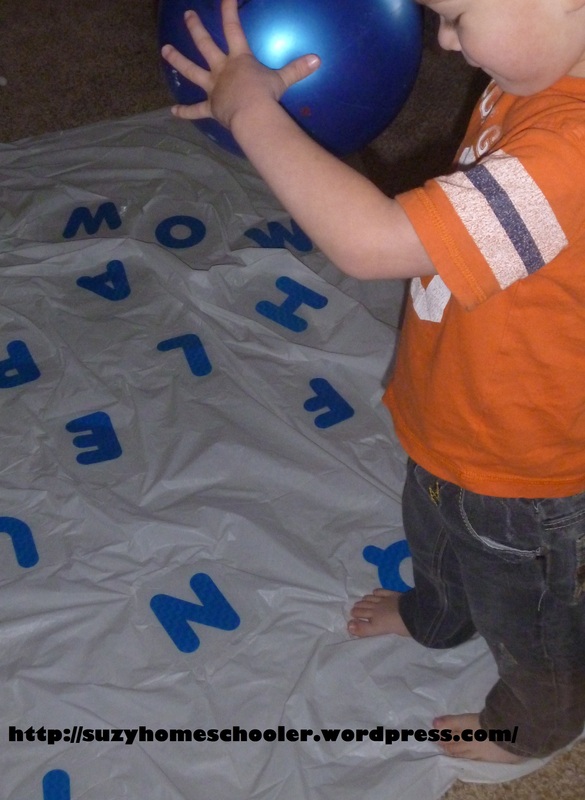 Combining gross motor activities with learning is something we strive to do on a regular basis. 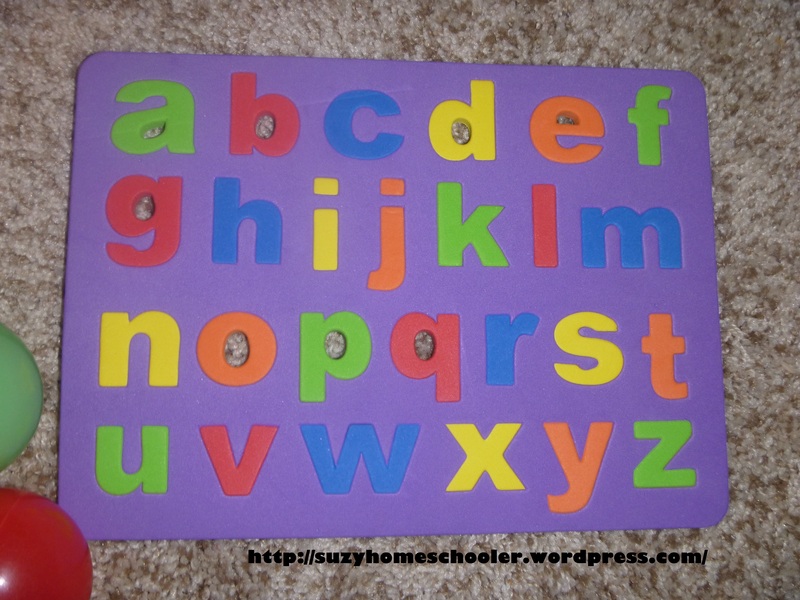 I’ve written before about our alphabet mat which is obviously a learning activity.